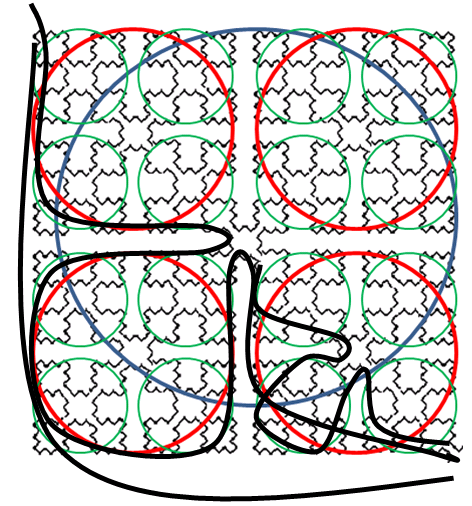 This file contains an algorithm that calculates a spacefilling curve – a means for mapping a high-dimensional space in a low-dimensional space. 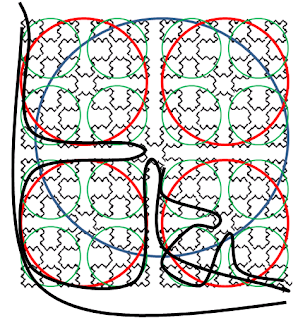 Bartholdi’s material uses Sierpinski’s curve and the mapping is a fast approximation that can be used in solving traveling salesman problem, in seriation, etc. Next to the Java code, a test set from Traveling Salesman Problem website is imported to Excel, and a spacefilling curve solution is found. As expected this fast approximation is ca. 40% inferior to the optimal solution. The file, thus, contains a presentation, Java code and Excel/VBA program. The way of creating spacefilling curve itself is suboptimal, as I decided to read only the first paragraph of the algorithm and to try to devise the solution (on the picture above) myself.